Ohio University Press, 9780821423097, 250pp. Weedeater is a contemporary story of love and loss told by a pair of eastern Kentucky mountaineers. Gene is a lovelorn lawnman who bears witness to the misadventures of a family entangled in drugs, artmaking, and politics, a family beset by environmental and self-destruction. And a young mother, Dawn Jewell, is at the center of the family. She spends the pages of Weedeater searching—for lost family members, lost youth, lost community, and lost heart. Weedeater is a story about how we put our lives back together when we lose the things we thought we couldn’t bear losing, how we find new purpose in what we thought were scraps and trash caught in the weeds. 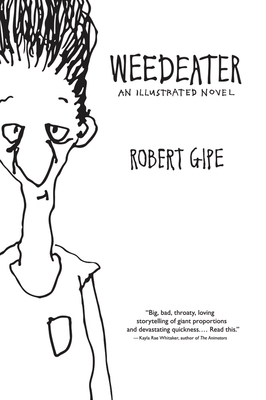 Weedeater picks up six years after the end of Robert Gipe’s first novel, Trampoline, and continues the story of the people of Canard County, Kentucky. In Weedeater, the reader finds Canard County living through the last hurrah of the coal industry and the most turbulent and deadly phase of the community’s battle with opioid abuse. The events it chronicles are frantic, but its voice is by turns taciturn and angry, filled with humor and stoic grace.